One of the most popular series from the Royal Canadian Mint in recent years has to be its $20 for $20 Silver Coin Program. Knowing that, it is no surprise that the RCM has opted to continue the series in 2014, likely much to the delight of many collectors. Four new strikes are scheduled to appear in the $20 for $20 Silver Coin Program in 2014. The first of those will debut in January. The reverse of each coin will feature a design representing the indicated theme above. As mentioned, this series has proven extremely popular with collectors. So much so, in fact, that quick sell-outs have occurred in the previous releases. Those quick sell-outs have sometimes occurred before interested collectors could make their purchases. 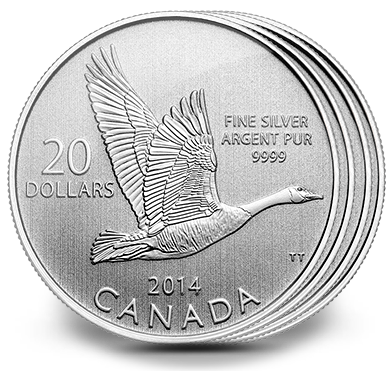 As a means to combat that situation, the Royal Canadian Mint now offers a subscription program for the entire four-coin 2014 $20 for $20 Silver Coin Program. Those joining the subscription service will receive the four 2014 coins as they are released at the normal price of just $20 per coin, plus a small shipping and handling fee. The RCM indicates a limit of three subscriptions per household is in place. 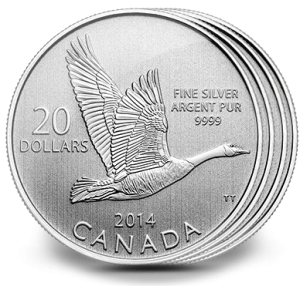 For more information, see the Royal Canadian Mint's website page for the $20 for $20 Silver Coin program located here.